Do you innovate? Elastic Minds are called to innovate. Elastic minds are creatives that reimagine ways to create businesses, define how people engage in learning, and create tools to change markets. People who possess the ability to think elastically produce game-changing outcomes that are available globally. Learn from 10 business leaders who demonstrated resilience on their inspirational journey to success. Kindle option also available for $9.99. T. Guevara: This is a great and very profound book. Every time I read a book, I look for something new, something that will capture my interest and keep on reading, this book has that ability. I thought at first, tell me something I don't know yet, but as I was reading, I was amazed at confirmation of what I knew before about life and has forgotten as time passes by. It was a reminder of my life and my struggles as I was building my work experience. It brought reminiscence of my drive to succeed, and how I mindfully orchestrate the path that I layed bricks on. I just kept on reading and it ignites the drive to do better because the laying of bricks do not stop and the direction changes. You just need the elastic mind to recognize the flow and move with it. I highly recommend this book to everyone. D. Brown: This book creatively teaches the academics of the six forms of elastic minds thinking through stories of numerous innovative leaders. It's a fast, educational and applicable read, and worth keep close-by as a reference tool! K. Pham: This is a great book. It's a definite reference book for me to find ways to get things done whether in work, business or everyday life. We're living in a very competitive world today with globalization in much of our lives. We need to be creative, resilient and have the elastic mind that will provide us with the competitive edge to be ahead and stay ahead. 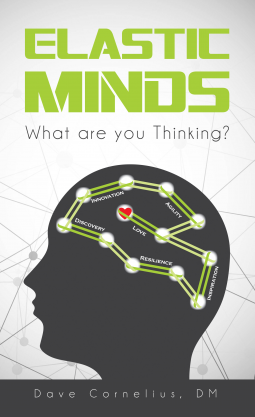 This book will help open your elastic mind to accomplish the things you want to accomplish.